The K-1 visa allows foreign citizens who are engaged to a U.S citizen to apply for permanent settlement. The K1 visa allows engaged couples to meet in the US to perform the ceremony of marriage. This article will go through the US fiancé visa, what it is, its requirements, the fiancé visa process, and other relevant K1 visa process details. A K1 visa is a US immigrant visa issued to the fiancé or fiancée of a US citizen to enter the United States. The K1 visa holder will get this visa so that they can marry the US citizen within 90 days of arriving in the US. This K1 fiance visa is the first visa that a foreign citizen marrying a US citizen must have. Without having had the K1 visa, the fiancé of the US will then have difficulty adjusting the status to become a Legal Permanent Resident (LPR) of the US. The ceremony and the legal marriage certificate must be performed and submitted as proof to the Department of Homeland Security in order to initiate the permanent move of the foreign citizen in the US to join their spouse. Can I Apply for a K1 Visa? To be able to get the K1 visa and travel to the US to marry the US citizen, there are first a few fiancé visa criteria that you must fulfill. These requirements are in place to prevent unofficial relationships and marriages to only obtain Green Cards. You must have proof of your relationship before the engagement. You plan on getting married while you are in the US on a K1 visa. The marriage will be performed according to the US laws where the marriage will be done. You and the US citizen must have met in person at least once in the past two years (Exceptions to this requirement will be granted if you can prove that the US citizen faced extreme hardship to come and visit the foreign citizen fiancé. Extreme hardship can be proved on conditions of culture, customs, or other factors). Involvement in criminal activities in the past (ex. drug trafficking). You have submitted falsified documents. You have overstayed in the US on a previous visa or broken other visa rules. You intend to marry the foreign citizen within 90 days of them entering the US. Any previous marriages that you or your fiancé have had are legally terminated. The fiancé visa application has a few steps which both the US citizen and the foreign citizen must follow. The K1 visa application must be first initiated by US citizen. The US citizen must obtain permission from the US Citizenship and Immigration Services (USCIS) to bring and sponsor their foreign citizen fiancé to the US. If USCIS grants this permission, then the foreign citizen fiancé must apply for the actual K1 visa. The US citizen will first need permission from USCIS for the foreign citizen fiancé to visit in the US. This permission is obtained by filing Form I-129F, Petition for Alien Fiance to USCIS. The petition must be filed from within the US and cannot be filed from abroad. When the petition arrives at USCIS, the officials will go through it and review the evidence of the relationship, whether the parties intend to get married, and whether they fulfill the eligibility criteria. If both the US citizen and the foreign citizen fiancé fulfill the requirements, then USCIS will approve the petition and send it to the National Visa Center (NVC). The NVC will then inform the couple and will forward the documents to the US Embassy or Consulate where the foreign citizen will apply for the K1 visa. The approved petition is identified with its NVC case number. The foreign citizen is not allowed to apply for the K1 visa without obtaining the approval of the Form I-129F. You can start your K1 visa application after the approval of Form I-129F. This must be completed by the foreign citizen in a US Embassy or Consulate in their country of residence. Form DS-160, Online Nonimmigrant Visa Application is used for US nonimmigrant visas and in this case for the K1 visa too. The form will inquire on your personal information as well as reasons why you are planning to go to the US. When you submit it, you will get a confirmation page and code. Your visa interview will be conducted if you are between 14 and 79 years old. To complete the interview, you must first schedule it. You must schedule it as soon as possible due to the fact that you might have to wait too long if the Embassy or Consulate you are applying from has a high workload. When you schedule the interview, you will get an interview schedule letter. No matter your age, if you are traveling to the US and especially planning to apply for a US immigrant visa in the future, you must have a licensed physician conduct the necessary medical examination. The doctor must write the report stating any health issues. Since the fiancé will get married soon and apply for permanent residence, it is also advisable to get the necessary US required vaccination so as to complete that requirement. When you go in for your interview at the US Embassy, you must present the K1 visa required documents. During the interview, you will have to show your documents as well as answer any questions that the interview officials will have. The interviewer will also ask questions about your relationship with the US citizen as well as other details about your background. What Are the K1 Visa Fees? Valid passport for more than 6 months after your intended stay in the US. Two recent US visa photographs according to the Photo Requirements. Form DS-160 confirmation page and code. Divorce or death certificates in case of a previous marriage. Evidence of the relationship with the US citizen. Medical examination documents (and optional for vaccination documents). Proof of payments of fees. What is the Visa K1 Processing Time? The K1 visa processing time may vary from weeks to months. It does not have a definite length of processing time. It is most likely that it will take a few months, so plan ahead for any delays if you are planning the wedding in the US. Only after you get your K1 visa can you start making travelling plans, since if your visa is denied, you might end up not using any tickets purchased up to that point. 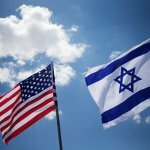 How Long is the K1 Visa Valid? The K1 visa is valid for 4 months but you can extend for up to 6 months. Despite the fact that the K1 visa might be valid for this length, the couple is expected to be married within 90 days of the foreign citizen’s entrance in the US. 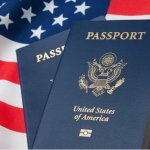 Can I Work With a Valid K1 Visa? While you are in the US with a K1 visa, your US citizen fiancé must prove that they can support you. However, since you will get married and will start your process to adjust your status to a permanent one, you can plan ahead to work. Initially, you must apply for an Employment Authorization Document (EAD) by filing Form I-765 to USCIS. If approved, you are allowed to obtain a Social Security Number (SSN) and even work for the period of time that your K1 visa is valid. 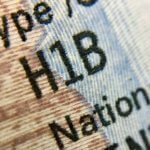 Can my Children Accompany me to the US With a K1 Visa? If the foreign citizen has unmarried children under 21 years old, they can accompany the foreign citizen to go to the US for the marriage. The children of the K1 visa holder can travel to the US with a valid K-2 visa. The US citizen does not need to file petitions to USCIS for the children of the fiancé, but they must be mentioned in the Form I-129F. Upon approval of the petition, each one of the children must apply for the K-2 visa individually. The children will then have the opportunity to also obtain permanent residence after the marriage by filing for adjustment of status. What Are the Next Steps After Marriage? If the foreign citizen obtains a K1 visa and the couple gets married in the US within 90 days, then the process to adjust status to a permanent one begins. This means that the foreign citizen will become a Legal Permanent Resident of the US by getting a spouse visa. This process begins by filing Form I-485. Within the first two years of marriage, the foreign citizen will have conditional status with the CR-1 visa and afterwards can obtain unconditional status with the IR-1 visa. What if the Couple Does Not Marry After 90 Days? If the K1 visa holder enters the US and does not marry, then they cannot extend their fiance visa. The K1 visa holder should then leave the US and return to their home country. 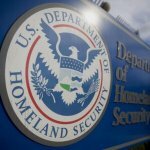 If the K1 visa holder does not return, they could face deportation and legal consequences.